Museum of the Moon has been co-commissioned by a number of creative organisations brought together by Luke Jerram and Norfolk & Norwich Festival. These include: Greenwich+Docklands International Festival, Brighton Festival, Without Walls, Cork Midsummer Festival, At-Bristol, Lakes Alive, Provincial Domain Dommelhof, Les Tombées de la Nuit, Rennes and Kimmel Center for the Performing Arts. The artwork has also been created in partnership with the UK Space Agency, University of Bristol and The Association for Science and Discovery Centres. The artwork is part of the European INSITU network. Described in The Guardian as “an event whose annual contribution to the happiness of the people of London is unrivalled”, Greenwich+Docklands International Festival is London’s annual festival of free, outdoor arts. GDIF 2017 takes place 23 June – 1 July and will host the London premiere of Museum of the Moon. Norfolk & Norwich Festival is the flagship arts festival for the East of England with a reputation for innovative and inspirational programming and commissioning. Each May we transform and celebrate our city and county through an internationally acclaimed programme of music, theatre, literature, visual arts, circus, dance and outdoor arts. 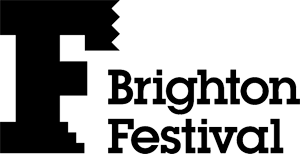 Norfolk & Norwich Festival 2017 runs Friday 12 – Sunday 28 May. Without Walls, a consortium of 10 of the UK’s leading outdoor arts festivals and organisations, brings the best in new outdoor performance to diverse audiences all over the UK, providing opportunities for UK artists to develop bold new ideas – from large-scale spectaculars to more intimate pieces, inclusive of all art forms and genres. Since 2007, Without Walls has commissioned and supported over 90 shows, many of which have toured beyond the UK to 22 countries across the world. Lakes Alive is an annual arts festival in which to be inspired, join in and discover something new. The thriving and vibrant market town of Kendal is the heart of the festival and becomes the backdrop to a range of contemporary visual art exhibitions, new digital commissions and spectacular happenings including performance and installation. Provincial Domain Dommelhof is an institution of the province of Limburg in Belgium. The institution is located in Neerpelt and focuses on a provincial force for culture and sports. The core tasks of Dommelhof include the production and distribution of outdoor and circus theater and the support and distribution of creations of young talent in the performing arts. At-Bristol is one of the UK’s largest science centres and home to the UK’s only 3D Planetarium! We’re a two-floor science centre filled with interactive exhibits, activities and live shows – we aim to inspire visitors of all ages with a sense of adventure and curiosity about the world we live in. Founded in the early 80’s Les Tombées de la Nuit is a french festival located in Rennes-Britanny. Transforming the city into an open playground, the festival creates special situations from the encounter of artists, people (spectators) and the city, mainly in public space. Les Tombées de la Nuit is a member of In Situ Network. 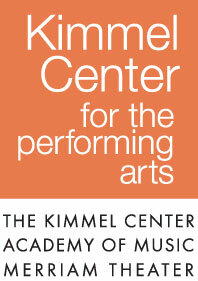 Located in the heart of Center City, Philadelphia, The Kimmel Center’s mission is to operate a world-class performing arts center that engages and serves a broad audience through diverse programming, arts education, and community outreach. The UK Space Agency is at the heart of UK efforts to explore and benefit from space and funds a variety of space missions and programmes. 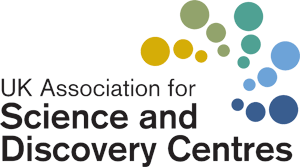 The Association for Science and Discovery Centres (ASDC) brings together the UK’s major science engagement organisations to play a strategic role in the nation’s engagement with science. Together, these centres engage over 20 million people each year with vibrant accessible science.